Todd Fetters has been Bishop of the US National Conference since August 7, 2015, He was appointed bishop in 2015 to fill the unexpired term of his predecessor, and in July 2017 was elected to a four-year term as bishop. Bishop Fetters grew up in a minister’s home as the son of Dr. Paul and Barbara Fetters. His father served many years as a United Brethren pastor, and in 1972 came to Huntington University to start and lead the Graduate School of Christian Ministries. Todd graduated from Huntington University in 1989 with a degree in Bible & Religion, and two years later received the Master of Christian Ministry degree from Huntington University. More recently, he earned the Master of Arts in Religion from Evangelical Seminary in Myerstown, Pa.
Bishop Fetters served 24 years as a United Brethren pastor. He started in 1989 with seven years at Lake View United Brethren church in Camden, Mich. 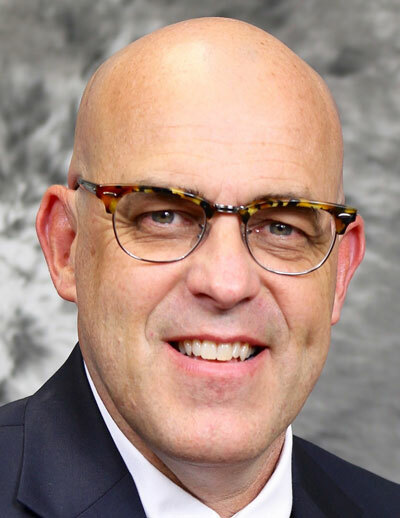 He left there in 1995 to become senior pastor of Devonshire United Brethren Church in Harrisburg, Pa.
After 18 years at Devonshire, Bishop Fetters left in 2013 to become Director of National Ministries at the national office in Huntington, Ind. His responsibilities in that role included oversight of the cluster system and developing strategic initiatives for the denomination. Todd and his wife, Lisa, were married in 1988. They have two sons, Jordan and Quinn.